DSAA brings you iCan Bike! 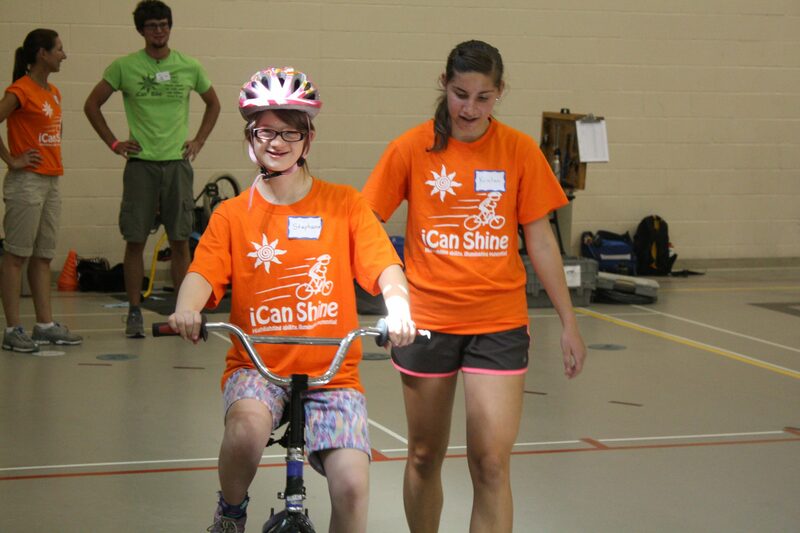 iCan Bike helps individuals with disabilities discover how to independently ride a conventional two-wheel bicycle, creating a gateway of opportunity that helps them gain confidence in many other aspects of their lives. In one week approximately 80% of participants learn to ride a two-wheel bicycle! Camp is back at Northview High School in Duluth and runs from June 15-19th. Participants attend a 75-minute session each day for 5 days, where they learn to ride while accompanied and encouraged by volunteer spotters. Parent/Guardian Orientation will be Sunday, June 14th and is mandatory for participation. The camp will run Monday June 15th - Friday June 19th and Northview High School in Duluth. Each daily session runs 1 hour and 15 minutes, and participants need to be on site 15 minutes before their assigned session. Parent/guardian must also remain on site. Cost is $275 per rider for the week and includes use of a helmet, a t-shirt and an achievement medal. Space is limited to the first 40 riders, so act fast!